CHICAGO — For the first 19 years of his life, Alfredo Corona never played a sport. 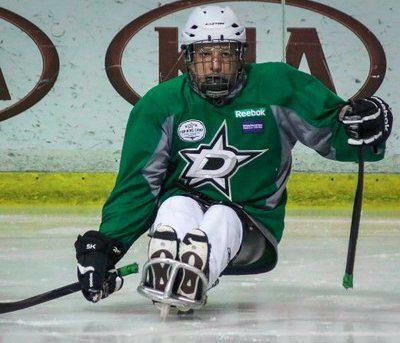 Wheelchair-bound due to spina bifida, Corona was attending a Dallas Stars game when he was approached by Pat Sapp, then a member of the U.S. National Sled Hockey team. With no introduction, Corona recalls Sapp telling him, “Hey, you’re going to play hockey.” Later that week, Corona sat outside the practice rink Sapp invited him to feeling skeptical, hesitant and debating whether or not to enter. After seeing a handful of people in wheelchairs go in, Corona decided to give it a shot. Twenty years later, it turned out to be one of the best decisions he’s made. Corona is one of 362 players participating in the ninth annual USA Sled Hockey Classic, presented by the NHL. This year’s event brings athletes from all over the United States and Canada to MB Ice Arena in Chicago for a jam-packed weekend of highly competitive sled hockey. The 30 participating teams – a tournament record – are affiliated to a total of 20 NHL clubs wearing their logos, colors and jerseys. The teams are divided into five tears, all of which play for their own championship. Tiers are determined by a number of variables such as skill, organization size and age of the players, with a goal of creating a fair and competitive environment. Banners are awarded to the first and second place finishers in each tier, but the winner in Tier I takes home the O’Connor Courage Trophy. Like Corona, sled hockey changed the course of Bettencourt’s life. While serving in the Marine Corps, Bettencourt developed a rare neurological order that forced her to medically retire from the military. Bettencourt knew nothing about adaptive sports, but after getting on the ice for the first time, she fell in love. Sled hockey reversed the “downward spiral” she was on and offered a constructive way to reacclimate into society. When Bettencourt returned to her native San Diego, there was no hockey team, so she decided to lead the way in establishing the San Diego Ducks. For Bettencourt, it’s also a way to build relationships and connect with others just the way she did in the Marine Corps. At 35 years old, Bettencourt has flourished on the ice, earning her a spot on the U.S. Women’s Development Sled Hockey Team in 2014. Finding another way to represent the United States outside of the Marine Corps was previously unimaginable to Bettencourt. She takes pride in being able to represent the USA once again and of course, playing against — and “destroying” — Canada. 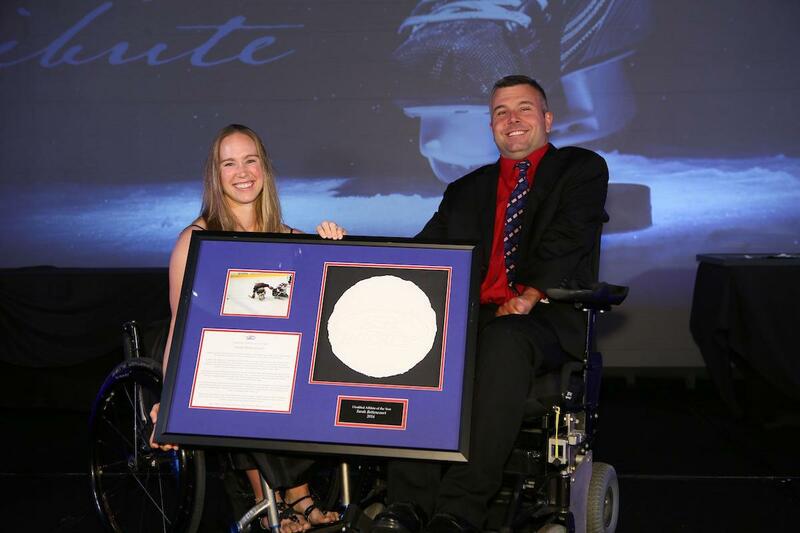 In 2016 and 2017 respectively, Bettencourt and Corona were recognized by USA Hockey as the Disabled Athlete of the Year for their perseverance and dedication to overcome obstacles and pursue excellence both on and off the ice. 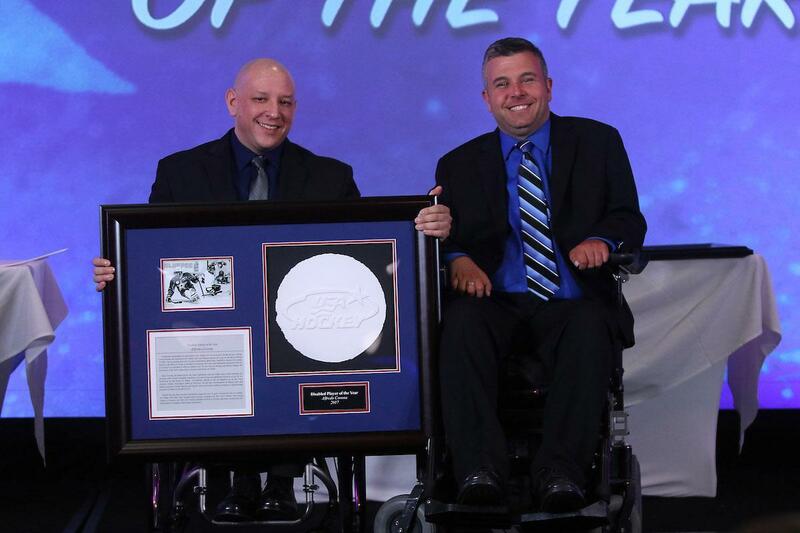 Bettencourt being recognized as the 2016 Disabled Athlete of the Year during USA Hockey's Annual Congress. Corona being recognized as the 2017 Disabled Athlete of the Year during USA Hockey's Annual Congress. While a love for the sport is a common theme between the two, the pair differ on their favorite aspect of the game. For Corona, it’s the competitiveness that drives him. Bettencourt, on the other hand, thrives on the physicality. “It just kind of reminds you that you’re alive and give it back to the next person who tries to hit you,” Bettencourt said. 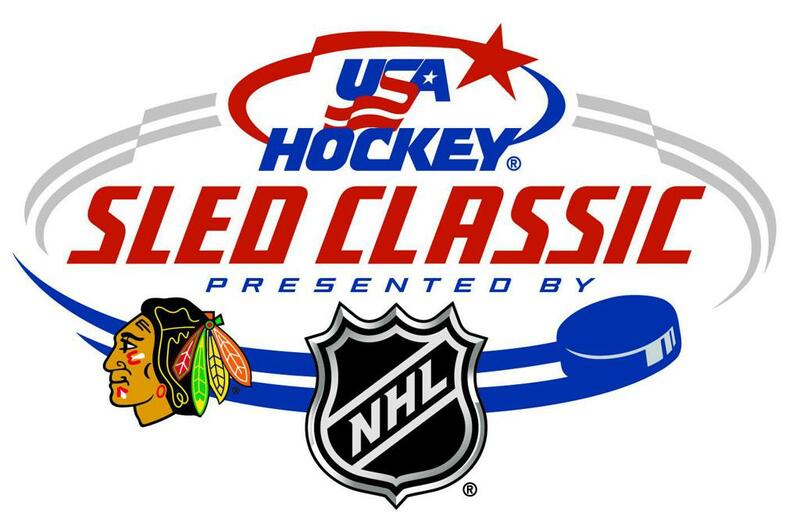 The ninth annual USA Hockey Sled Classic, presented by the NHL, continues today with quarterfinal and semifinal matchups. Tomorrow, MB Ice Arena will host five separate championship games. All games are free of charge and available to live stream on HockeyTV.com. For more, visit usahockey.com/2019sledclassic.